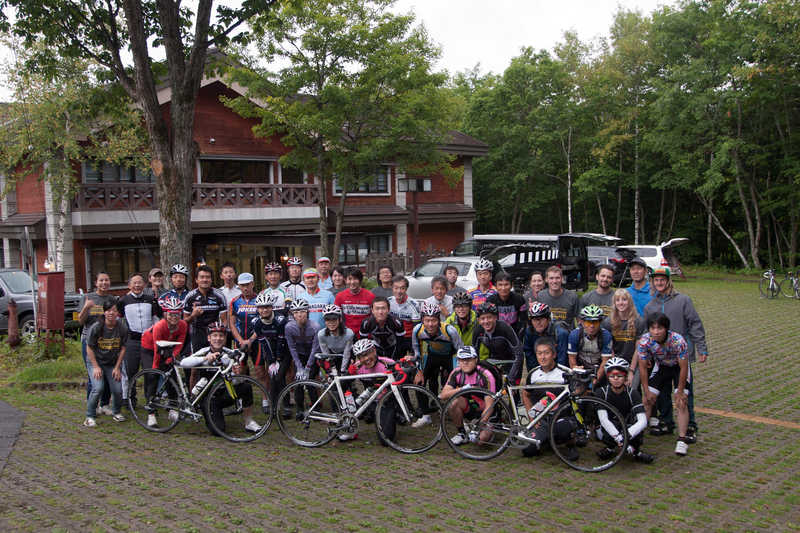 NORTHSTAR and Norikura Heights is stoked to offer you NORIKURA CENTURY Charity Ride on 9/13-15 (actual ride on Sun. 9/14)! Many of us have dreamed of riding around Mount Norikura but would never do it alone and now you have this great opportunity to experience an epic European style GRAN FONDO here in Japan! At an amazing 100 miles* (technically 153 kilometers), we have created this challenge for the cyclist who is willing to see what they are made of as they climb three major passes. With amazing climbs, long descents, and scenic traverses, this ride takes you to the top of the Alps, on historic roads and through forests that can only be found in Japan! to be physically challenged. (THIS IS NOT A RACE but a personal challenge to be done with your friends.) **Once NORTHSTAR Alpine Lodge is full, participants will be lodged at a neighboring lodge. **You must be in good shape and be able to do basic bike repairs yourself on the road. The Norikura Century is a technical and climbing century with long ascents and descents (the object is NOT to do rapid descents) and should only be attempted by competent, experienced riders. All prices are shown without sales tax (8%). Payment: Your reservation/application will be finalized when you send in your non-refundable donation and event fee. Your lodging fee will be paid at the check in time. *All participants are strongly recommended to attend. **We are planning on have a massage therapist come in but it will be reservations only and for 30 minute blocks (3,000 per 30 minutes). If you are interested please contact us well in advance. We strongly encourage you to ride this as a team event. As mentioned, you must be in good shape and be able to do basic bike repairs yourself on the road. The Norikura Century is technical and climbing century with long ascents and descents (4,000 vertical meters; the object is NOT to do rapid descents) and should only be attempted by competent, experienced riders. All record keeping will be done by each rider and not officially done. There will be an initial start for the riders at 6 am. The ride will go through astounding scenery around Mt. Norikura. From the classic ascent of Norikura Hill Climb (21 Kilometers) starting at 1500 meters and climbing to 2720 meters, to the rolling traverse above Takayama, following the historical route of Nomugi at 1672 meters, a descent to Nagawa, finally the last climb from Nagawa to Shirakaba-Pass and ride down to NORTHSTAR. There really is no better way to enjoy this part of the Northern Japan Alps than while riding this century.! *GPS Data（GPXFile）The GPS data is downloadable from the link above. This event started in 2009 and our focus is to put on an enjoyable, safe ride however the roads will not be closed to cars and bicycle safety will ultimately be your personal responsibility. NORTHSTAR will provide detailed course maps, marked turns, and a safety vehicle for unexpected problems at the 80 kilometer mark. It is however the responsibility of the rider to have a well maintained bicycle, all necessary repair equipment including a pump, extra tubes, lights for tunnels, sunscreen, and enough water and power gel. Riding in a group is suggested and helmets and a light for front and back are always mandatory. *Please remember that you will be going over 3 passes and the weather can be very unpredictable. BE PREPARE! Bring an extra shirt, rain gear. Stay Warm! It is a requirement that riders obey all traffic laws. That means STOPPING at all stop signs. Riders also need to watch speed limits. Police will ticket offenders! Also, iPods or other MP3 or Radios if worn while cycling are extremely DANGEROUS, for your safety and the safety of others, don’t use your iPod while riding! This is not a race and we do not have any official timing though we will have a check point at the mid-point of the route, 80km. The latest arrival time will be 12:00pm and if you are later than that, you need to ride on a support vehicle back to NORTHSTAR. Support vehicles will drive slow and support other participants and retired riders need to ride the van along the course. The vehicle will not go back home from the check point. Each rider will be responsible for himself/herself. There will be a mid-point where there will be a support vehicle but remember that is for ONLY emergency purposes only. Ride with a friend! Get to know others! Don’t go alone. Please make sure to give all riding partners your cell phone number BUT also remember that there are many areas that does not have coverage! Riders should expect the ride to be 8-12 hours long, with most riders arriving back to the start point from 3pm-5pm. After the ride, please relax at our bath. Finally, we will end the evening by having an American style BBQ and Celebration.